Even as the Indian government is announcing new cesses, taxes and what not to curb the popularity of high-end vehicles in India, nothing can stop the enthusiast community. There have been quite a few new additions to India’s list of exotic vehicles. Here are five new cars and SUV imports. 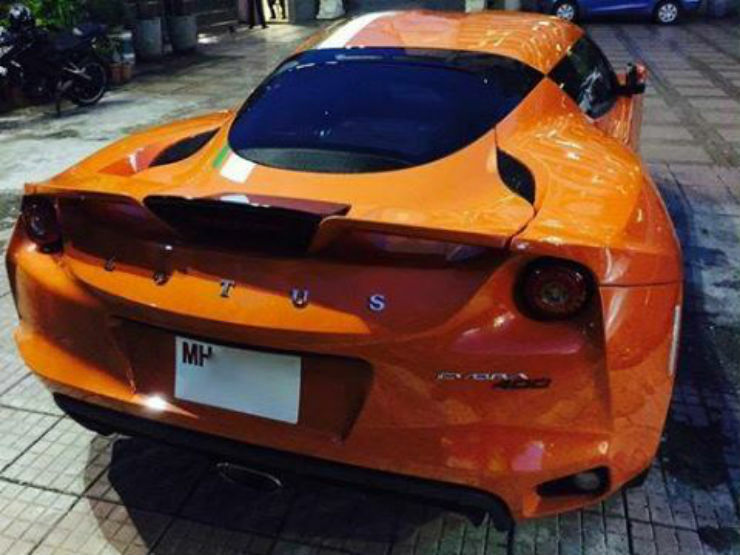 Now Lotus is not a common name even when it comes to the list of exotics in India. 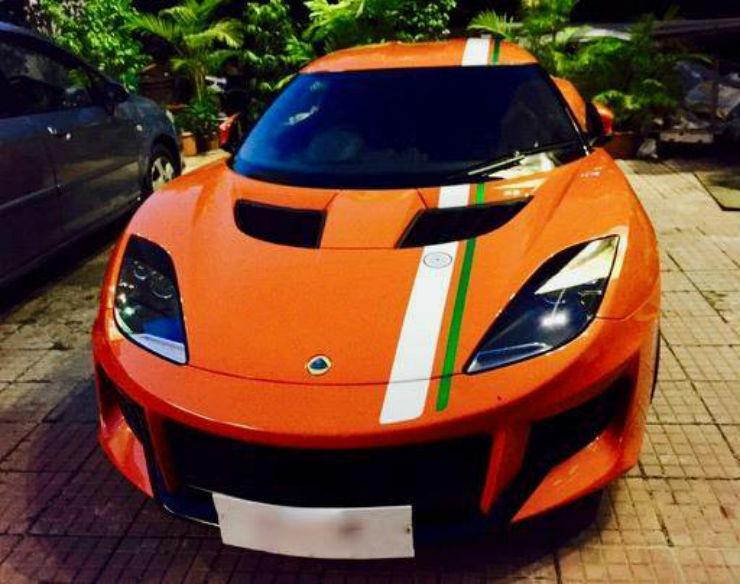 India has received its first ever Evora 400 sports car in Mumbai. The vehicle gets a custom paint job with painted Indian flag on the hood. The Evora is the flagship vehicle of Lotus. The sports car is powered by a 3.5-litre V6 engine that generates a maximum power of 400 Bhp at 7,000 rpm. The torque peaks at 409 Nm from 3500 rpm and stays till 6,500 rpm. The fuel system is supercharged multi-point and the owner of this vehicle will surely enjoy the privileged status on Mumbai roads. There are many Cadillacs in India but only a handful of them are Right-Hand Drives (RHD). Cadillac never made RHDs so it takes a lot of effort to convert them from their stock form. The Escalade seen here is an RHD Cadillac seen in India. There are no registration plates on it but it can be registered with Indian plates. The Escalade is powered by a magnanimous 6.2-litre V8 engine that churns out a maximum power of 420 Bhp and 624 Nm of peak torque. The Escalade is loved for its huge size and the bling it offers. The Land Rover Defender is an iconic model. 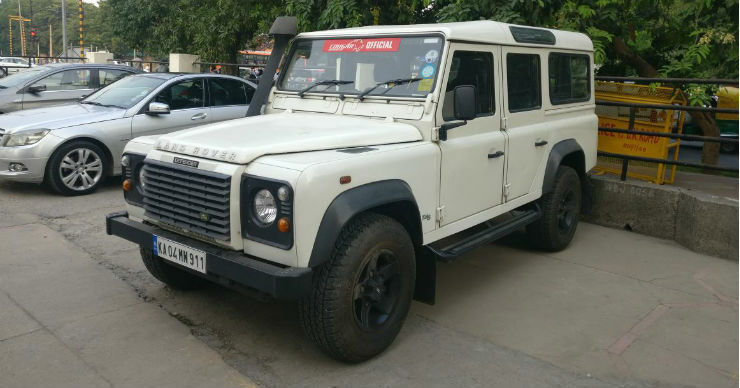 It was never officially sold in India during its entire lifetime and hence, the number of Defenders in India is very low. Land Rover has officially discontinued the vehicle and it is out of production now. It was recently seen in India and it can be seen with a snorkel for going in testing conditions and come out safely. The vehicle is powered by a 2.2-litre diesel engine that produces 120 Bhp. Land Rover is currently working on an all-new Defender. 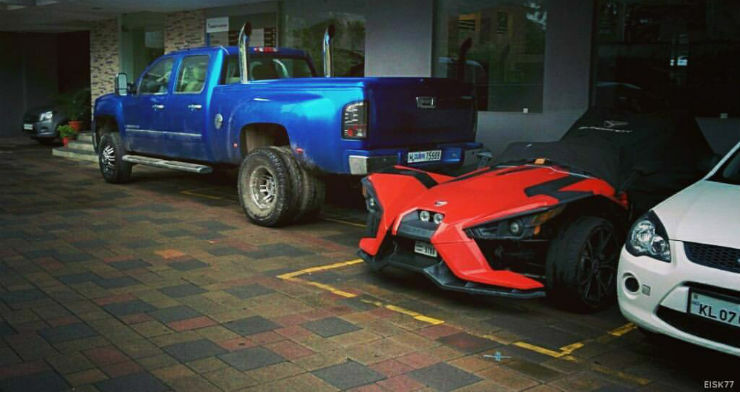 The reverse trike is not only rare in India but it is rare around the world. The Slingshot never came to India officially but it has been spotted in the Southern part of the country. The vehicle is on Dubai plates which means it has come to India for a fixed time frame on Carnet. The Slingshot is an open top vehicle with side by side two seats. The vehicle is powered by 2.4-litre inline four petrol engine and develops 173 Bhp of maximum power. With the weight of only 791 kg, the Slingshot is massive fun to drive. The vehicle gets 17-inch wheels up front and 18-inch wheels at the rear. The number of Chevrolet Camaros can be counted on fingers in India. The number of convertibles is even less. This is arguably the second convertible Camaro SS in India. The yellow coloured Camaro is in India on Carnet. The vehicle cannot be registered in India as it is not RHD. The vehicle is powered by a 6.2-litre V8 engine that develops a maximum power of 455 Bhp and 617 Nm.